Quickbooks has recently launched a new product – an affordable, easy to use online accounting software for small businesses. You can always have one month free trial to test if it suits best for your business. Business owners can start run your book online from only $5/month. 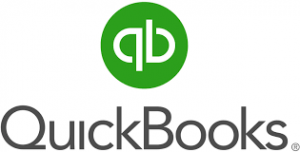 Quickbooks allows you to only pay for the tools you need. As you grow, you can add more functionality, such as Invoicing, Bank Data, Projects, Time Sheets etc. by adding $3 or $5/m depending on how much transactions you got. If you want to shut it down, the system will store all your data for 7 years at no cost. It’s exceptionally easy to learn and use. Quickbooks only shows you what you need to see, so you can spend more time on your business. Users can customise reports in various ways to get the best picture of how the business is running. Extracting the most useful information and not being distracted with irrelevant data. Bill your customers on the spot by sending an online invoice directly from our online accounting software. Schedule recurring invoices to regular clients and bill multiple clients simultaneously with batch invoicing. Quickbooks invoicing app is also free, you can just do it on your mobile. Automated bank feed for transactions. Quickbooks has a special rules engine function, it learns how you allocate the transactions. Time saving! Track revenue and expenses on each project to accurately forecast final costs. Create profit and loss reports in the cloud and easily split the cost of a project between different clients and suppliers. Quickbooks stores all the data in Australia, so users do not have to worry about the data safety issue. If you want to move to Quickbooks online, just give us a call on 08 8337 4460. Then we can make the best choice for your business and be your software support. We are Quickbooks trained and experienced.